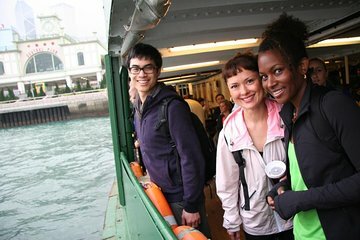 Make the most of your time in Hong Kong with help from a private guide who knows the best areas and ways around on this 4-hour tour of the Central and Western districts. Go to Statue Square, Man Mo Temple, and Cat Street Market. Learn about the territory’s history and how locals live as you stroll through SoHo and Mid-Levels, as well as visit other markets, such as a Chinese medicine market. This private, 4-hour walking tour of Hong Kong starts at Central MTR Station. During this private tour, your guide takes you around the districts in the quickest ways, so you can fit more into your time. At Statue Square, take in the views as your guide explains the art of Feng Shui. As you go, learn about how locals live as you visit a Chinese medicine market, Cat Street Market, and another vibrant antique market. During the tour, you’ll also be able to take a ride on one of the world’s largest outdoor escalators. Other things you can see include the Man Mo Temple and the residential areas of the SoHo and Mid-Levels districts. Once your walking tour ends, your private guide returns you to your original departure point at about 2p.m. with the rest of the afternoon in your own hands.